Should you use a local translation provider when entering a new market? Should you use a local translation provider when entering a new market? 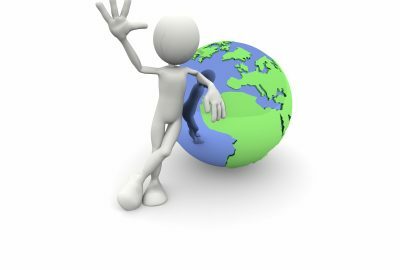 Occasionally people ask us whether it’s best to outsource your professional translation requirements to a UK translation agency, or find a local provider in the target market. Naturally as a UK provider we are slightly biased! But I think it’s a good question to ask, and a good opportunity to explore the benefits of a centralised translation service. Firstly, I’m not suggesting that using a local provider is necessarily a bad thing. If you have an office in the target market and staff that can liaise with that provider, it could be a good working arrangement. However, in our experience most companies and organisations get better value from a centralised translation service, using a provider closer to home. This is for a number of reasons, as outlined below. Typically we work with company employees that are based in the UK. In most cases marketing, design, communications, content production etc. are already centralised here in the UK and localised materials are then distributed to target markets. It therefore makes sense to also centralise translations rather than outsourcing to multiple local providers. Not surprisingly the decision-makers within most UK companies tend to be English speakers; or at the least share this language in common. Using a UK translation partner that acts as an intermediary between you and the native-speaking translators ensures that nothing is lost in translation. Translation agencies like Comtec will ensure that key messages and brand identity are localised and successfully translated into the target language. Depending on your target market there can be quite significant differences between the target country’s business culture and the UK’s. This can cause numerous friction points when working with local suppliers, making managing expectations on both sides difficult. This is not such a problem if you have key decision makers based in the target market; but if the UK team are responsible for projects delivered in that market, working with local suppliers can be challenging. As well as communicating with your translation agency, and sharing a common language, there are other practicalities like time zones. If you need speedy translations this can be a real problem, as the difference in working hours between the UK and Asia, for example could well mean that there is a delay in projects being delivered. Just communicating between different time zones adds an additional layer of complexity, so it’s much easier to let an UK translation agency deal with the hassle! Also, providers like ourselves have native-speaking translators working in the UK (as well as others based around the world), this means we can quickly turn around translation projects without needing to factor in time differences. One of the reasons that companies consider using local translation agencies is the access to in-market expertise. The knowledge and insights a business can benefit from when using in-market reviewers should not be underestimated; they can help your UK team align content with the target market and create much more effective communications. However, you don’t have to use a local provider to gain access to in-market experts. Most UK translation agencies are very well equipped to liaise with your in-market reviewers, without you having to lift a finger. They will also be able to help you identify the best people within local teams for you to work with to review content and approve translations. When expanding into new markets it’s vital that you get expert support in that target market. But it’s also important that you work with providers who understand your business and industry, and the challenges you face in reaching those markets. This is where a centralised approach to translation services can help you get the expertise you need: by partnering with a provider that understands what it’s like for UK companies doing business overseas. For more advice on outsourcing your translation requirements to a translation agency, please download our guide.